KOG Games, a leading developer and publisher of popular free-to-play action MMORPGs, today announces the launch of the impressive Land of Judgment World Boss Dungeon. From the Magical War of Kounat to the creation of the Tower of Disappearance, the fearless Knights of the Grand Chase have been called upon to act as saviors to war torn lands that most have never even dreamed of, but these wars have not only ravaged the lands of Aernas they have bled over into other realms and dimensions. With the recent opening of the Dimension’s Door the connecting realms have been thrown into absolute chaos. Recognizing that a grave mistake has been made, the ancient Gods have decided to intervene and destroy Aernas; hoping to bring harmony back to the world. The goddess and overseer of Aernas, sent the divine monstrosity Harkion to serve as a final test of worth. This will be the last chance for the Grand Chase to champion Aernas and show the ancients that the world was worth saving. 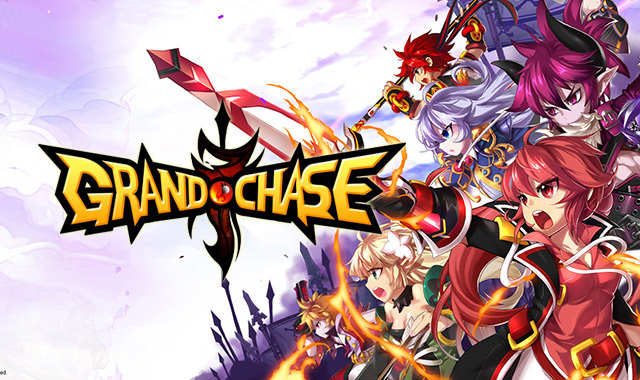 The Land of Judgment is the first of the epic Grand Chase Boss encounters that pit players 1v1 vs. the biggest, baddest boss in Grand Chase. No friends, very limited use of consumable resources and no excuses. This encounter is special because players of all skill levels get to participate. To enter, players select the Hero Dungeon icon on the bottom of the World Map Screen. Players have to bring their A-Game as they’re only allowed to attempt to slay Harkion 3 times a day, between the hours of 2:00AM and 11:50PM (PDT) each day. Now for the rewards! Players can acquire Battle Points for their efforts. The more damage you do to Harkion, the more Battle Points you receive. At the end of each daily event period, the total number of Battle Points acquired is tallied up, and your tiered prize is distributed via in-game mail. There are too many prizes to list here, but we assure you that they’re amazing. Players even get prizes for participating! Just for playing Land of Judgment each day, players will receive a Judgment Support Reward the first attempt. The prize is a random grab bag of items not to be missed. “To all who are living in Aernas, listen well… your world is in danger. Because of the cycles of endless warfare, your world is out of balance and is still affecting the safety of the realm at large. I am offering you a last chance at salvation before the Gods destroy your world. DRAGON QUEST VI: Realms of Revelation is now available for $14.99 on iPhone, iPod touch and iPad and Android devices. Divina's Challenge 72 beta - 72 hours of a beta test rushed this weekend - has laid out its events for players. Square Enix announces the availability of 60 day game time cards for Final Fantasy XIV: A Realm Reborn in North America.